After a nice long and relaxing summer, Rachel and I have made it back to Kuwait for another school year! 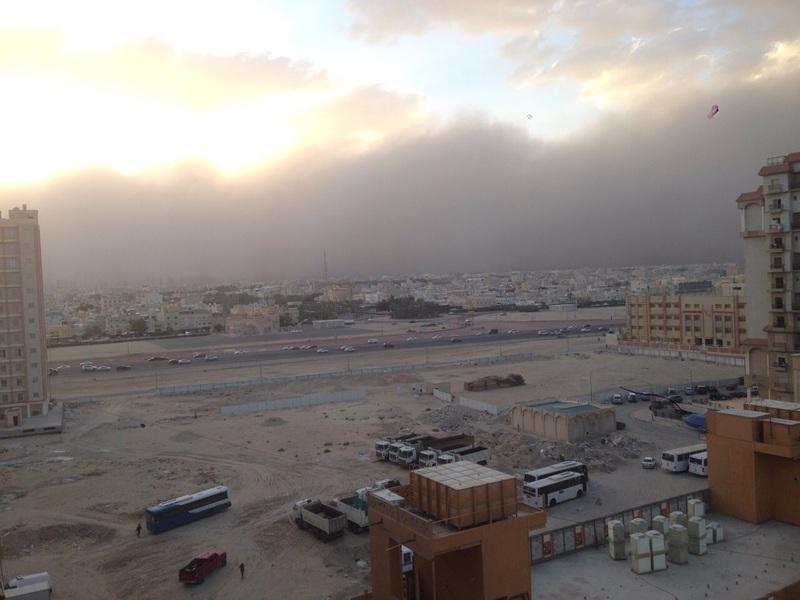 We arrived in Kuwait about a week ago, and have been busy trying to get all settled in. We’ve been working every day to prep for the upcoming school year, getting settled into our new apartment, fighting jet lag, and anxiously awaiting the arrival for our new baby! Rachel has been feeling great, and is currently 35 weeks pregnant. Our due date is on October 10th (my birthday!!!) but we know that the baby could realistically come at any moment. We’ve had a couple of doctor visits since we have been back, and both Baby J and mom are doing awesome. We can’t wait to meet the little fella and to share the news with everyone soon! Neither of us have blogged in nearly 3 months! So we apologize to everyone who kept checking our blog for updates, and were disappointed to see the “dumb turtle post” again! We spent our summer back in the United States visiting with friends and family. We had intentions to post once in awhile about what were up to over the summer, however things got busy and it slowly slipped our mind. It was great seeing people over the summer and hearing all of the comments like, “we love your blog!” It truly makes it all worth it when we receive such kind compliments. Without a doubt, “Mitch’s Monday Happy Hour” posts were the overwhelming favorites! So I’m excited to announce that our first Happy Hour together will be next Monday, September 14th. Stay tuned for some good ones! 1. We were so excited to see all of our friends we’ve met in Kuwait, who we missed dearly over the summer. 2. We knew that coming back to Kuwait meant it was getting much closer to baby time (just about 5 weeks to go before our little guy arrives). 3. We knew what to expect and what we were getting ourselves into. The fear of the unknown was completely gone and we were trilled to return to our home away from home. Our jet lag has pretty much settled down and we are ready to get back to our regularly scheduled blogging. Not only has blogging being a great way to keep our families and friends in the loop about what is going on in our lives but it has also turned into a journal for us and a way for us to look back and remember things that we would have already forgotten about. Last year we were able to churn out about 3 posts a week, but with a new person entering our family, we are not sure how that will affect our blogging schedule. So we hope you have low expectations for us as we get used to our new roles in life as Mom and Dad! 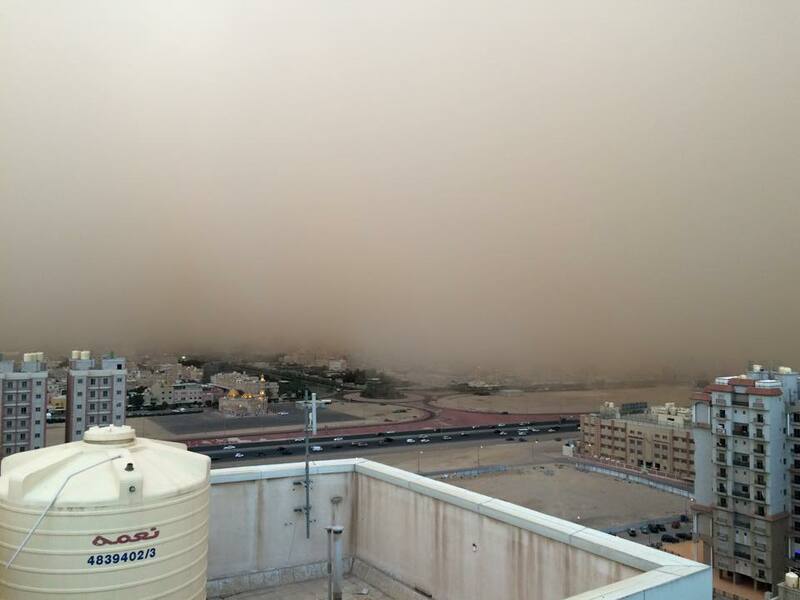 A couple of months ago during one of my weekly Happy Hour posts, I mentioned that we had a pretty nasty sandstorm (you can read about it HERE). No, those aren’t clouds . . . . . it’s sand coming our way! 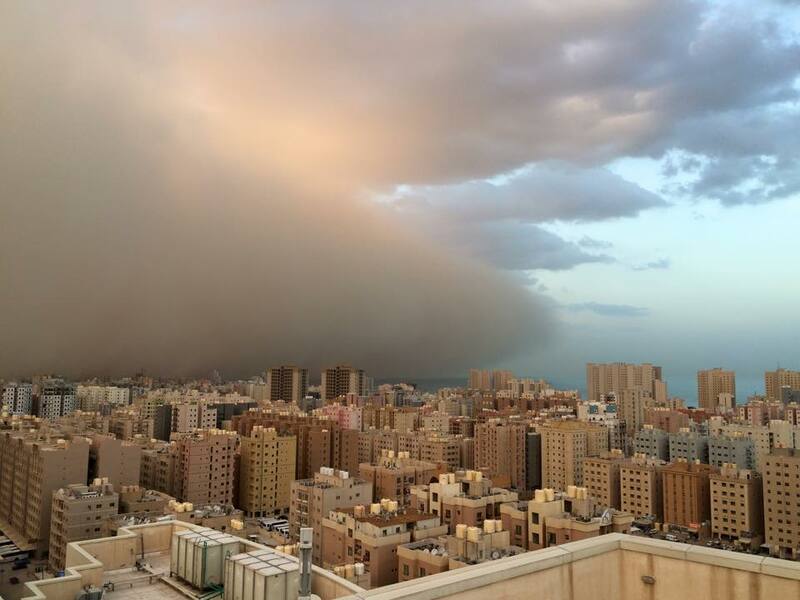 The sandstorm off in the horizon, coming our way. Photo courtesy of Gabe Massine. It is coming right at us! It was kind of like a tsunami wave . . . . you could see it coming, but you couldn’t do anything about it. Photo courtesy of Niamh Dickson. 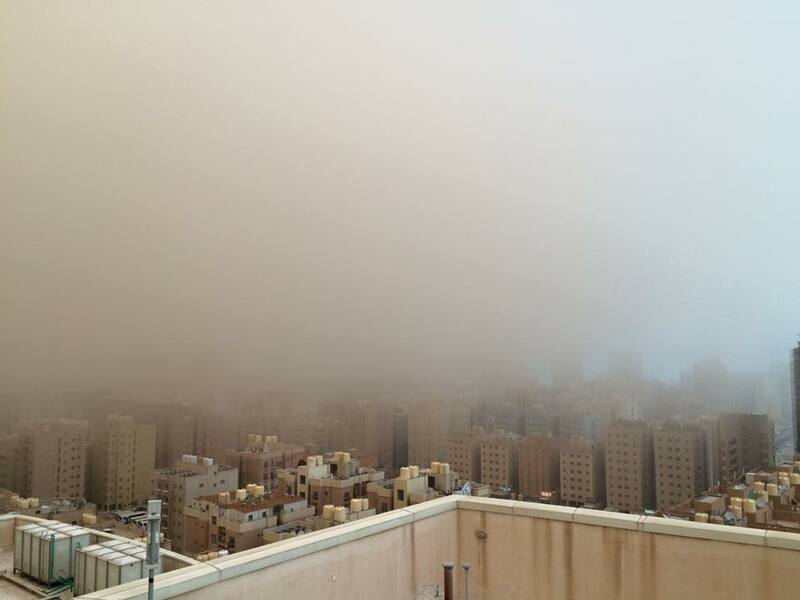 Besides leaving a thin layer of dust all over our cars and apartment windows, the dust storms don’t cause much damage. It’s like a thin layer of fog that settles in, but by morning it all cleared out. 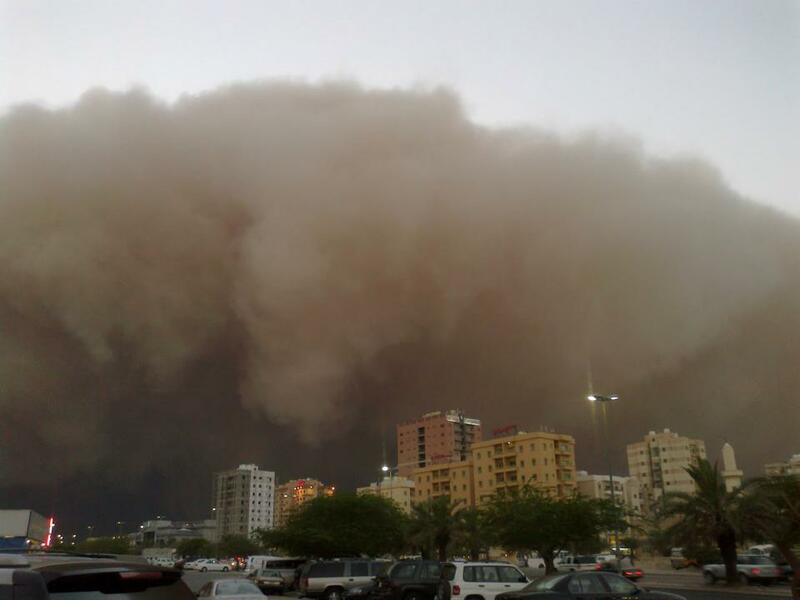 I would rather have a dust storm every few months rather than 6 months of winter back in Minnesota though! We live in the Middle East, but sometimes it seems like we are still living our old life back in America, our days can be so typical. Let’s take Monday for example. Monday is our evening together, no one is tutoring, no one is coaching soccer, no commitments after 2:00pm. It is glorious. So what do we do with a free evening together? Without thinking about it, we had an evening like many of our friends and family could have on a nightly basis. It wasn’t until we were laying in bed that night and I pointed out how crazy typical our evening was, that we both realized that as much as our life has changed in the last year, so much of it is still the same. It is officially getting hot here! 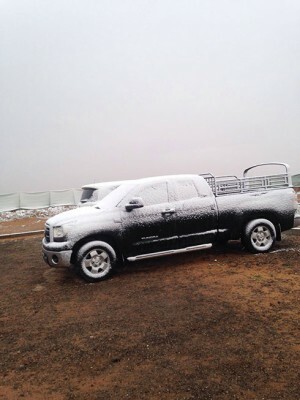 All of a sudden last week, as if someone flipped a switch, the heat just cranked up. It went from the low 90s (which feels great) to temps over 100! 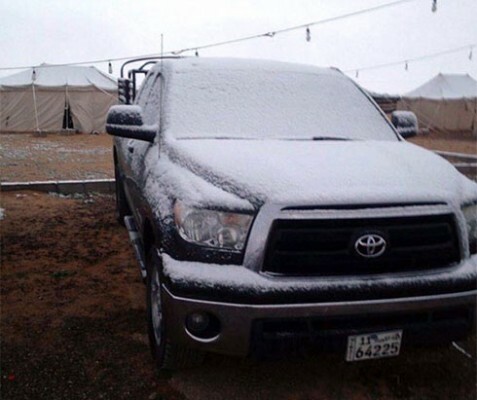 The good news is that we only have about a month left in Kuwait before we head back to America for the summer months. The bad news is that it is going to get much hotter here before we leave in June! From what I understand though, we are pretty lucky this year with the temperatures. Typically the heat arrives at the beginning of April, so we’ve dodged it by a whole month. Due to the increased heat, we’ve had to bump our “weekend walks” to early morning strolls. Last weekend, we left about 7:30am, and the temperatures were already at 95 degrees! It was a bit warm, but we knew we knew that this would be the most enjoyable part of the day. 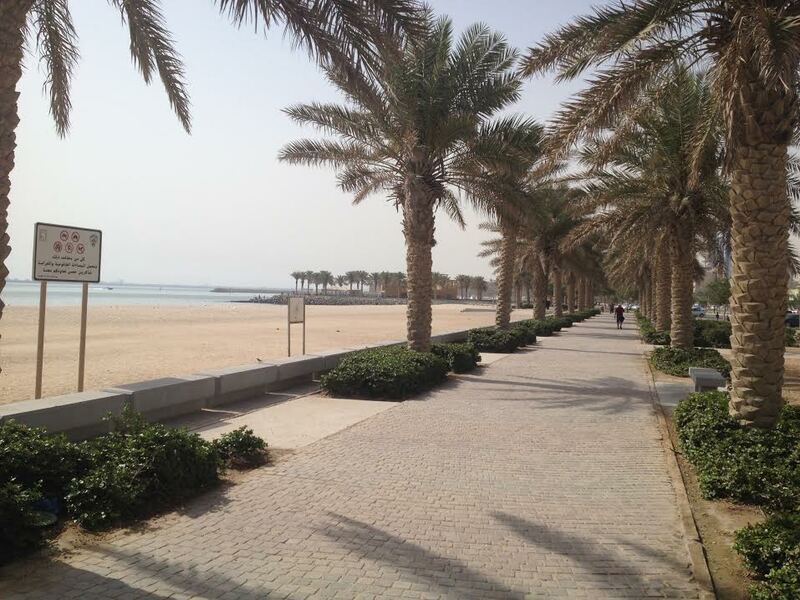 We found a nice little walkway along the beach pretty close to our apartment. The best part about going so early, is that there was hardly anyone out-and-about at that time of day. Our “weekend walks” are one of the most enjoyable parts of my week. It allows us to kind of get away from everything, and just talk! We discuss life, work, future plans, and just kind of reflect on life. 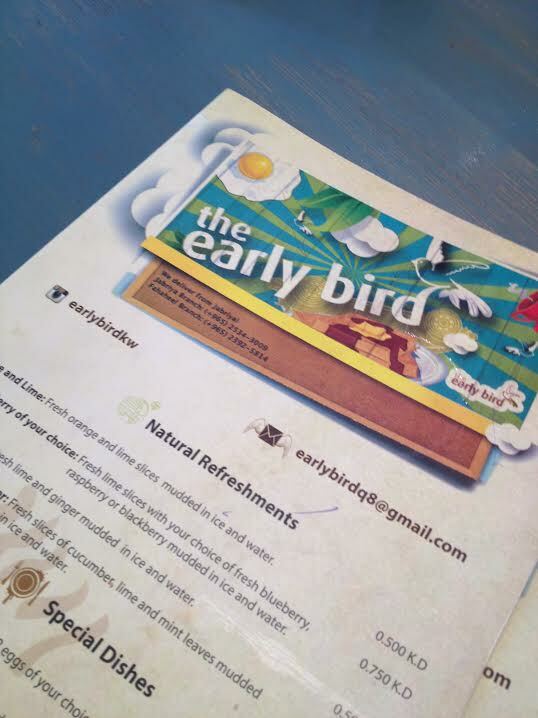 After our walk along the beach, we decided to treat ourselves for breakfast at one of our favorite little cafes here called The Early Bird. It’s just like any cafe you would find in North America, with a menu consisting of eggs, pancakes, french toast, etc. They have bacon and sausage too, but unfortunately it’s beef, so not as delicious as we are accustomed to. At breakfast I was wearing a t-shirt from our hometown back in Minnesota, pictured above. 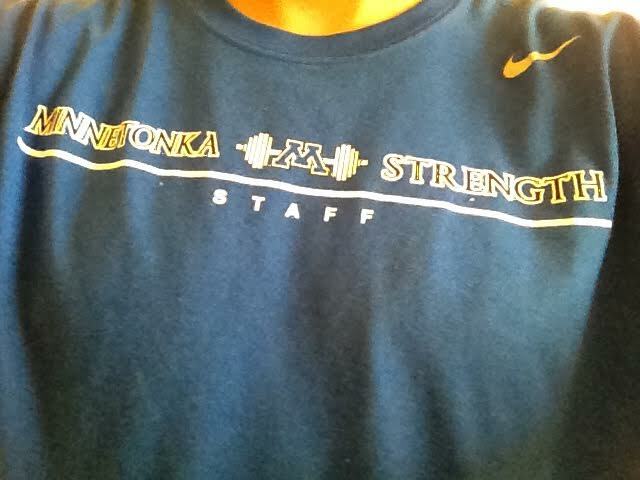 While eating breakfast at the cafe, a guy at a table next to us asked me, “are you from Minnetonka?” I was a bit surprised by the question, and responded hesitantly with a, “ya, have you heard of it?” He smiled, and said he was from the city of Golden Valley, which borders Minnetonka! It is such a big world out there, yet small too. Encounters like this definitely put things into perspective. Last week we published our 100th post! While our posting has slowed down a bit the last couple of weeks, we are still dedicated to keeping this blog up to date, especially with the arrival our first baby soon! Living in a Muslim country means we are surrounded by Mosques. They are almost literally on every corner, and they are beautiful. 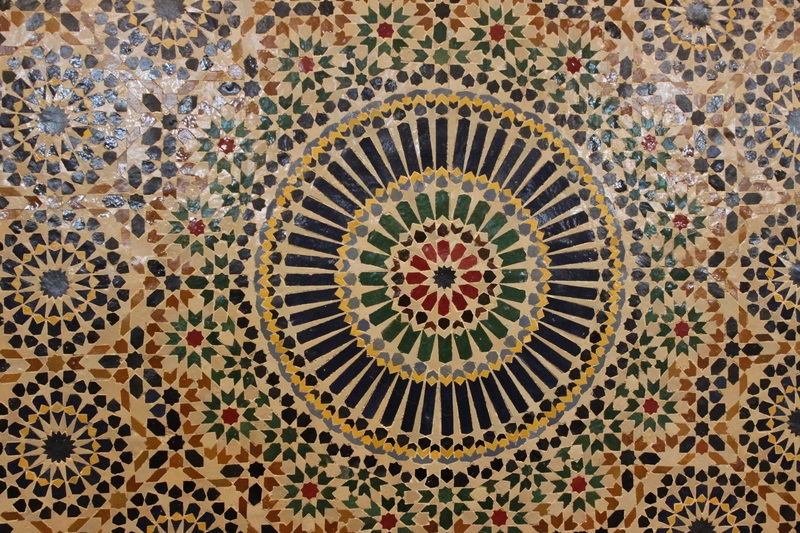 After visiting the Grand Mosque in Abu Dhabi this fall and being blown away by how fantastic it was we knew we needed to visit the Grand Mosque in Kuwait as well. So on a quiet Saturday morning we drug ourselves out of bed, grabbed our friend Jooles to come with and headed into downtown Kuwait City to tour the Grand Mosque. I had learned from our last visit to a Mosque in Abu Dhabi that I would need to have on long sleeves, a long dress, and my hair covered to enter the Grand Mosque so rather than needing to wear the abayas and hijabs offered by the Mosque I threw together my own version before we left home. Jooles wore the version offered by the Mosque and rocked the black on black look as well. 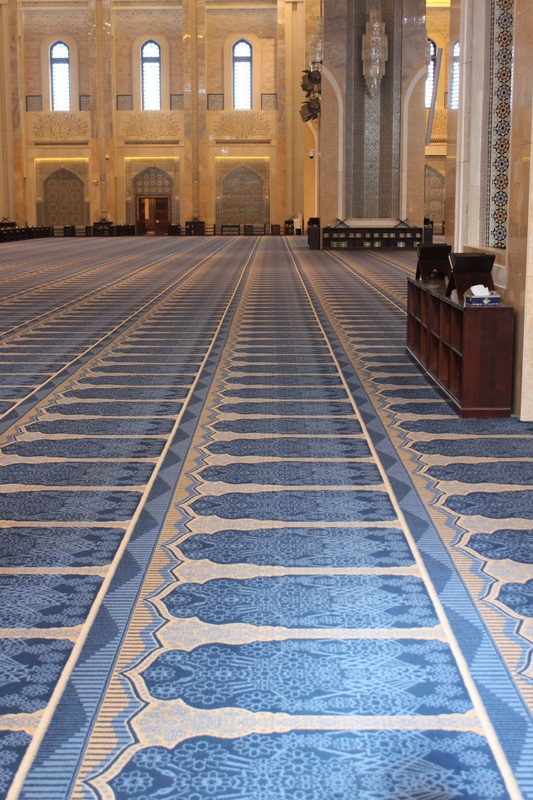 As guests and Muslims enter the prayer hall they remove their shoes to let the prayer hall remain a clean area. Let that be a lesson to those of us who tend to wear socks past their expiration date, and have to quickly try and adjust your socks so strangers don’t see your toe sticking out the end. Learn from my mistakes people! 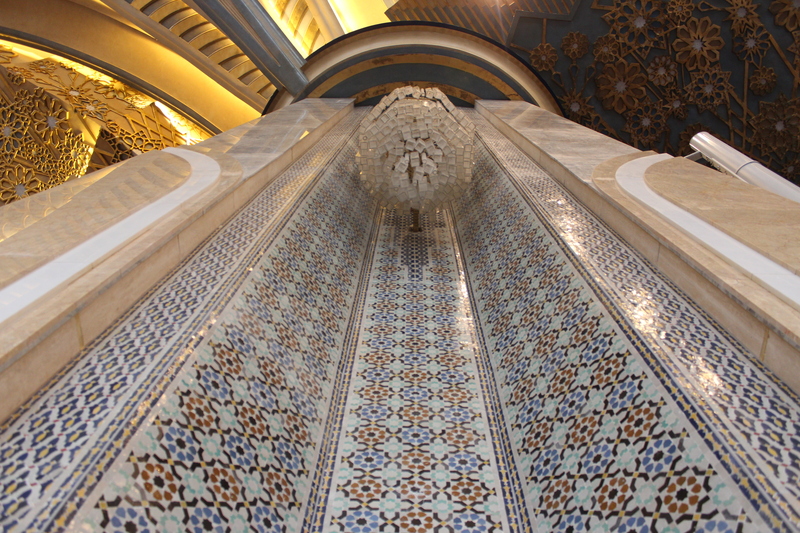 Our tour at the Grand Mosque in Abu Dhabi focused almost exclusively on the architecture of the building. 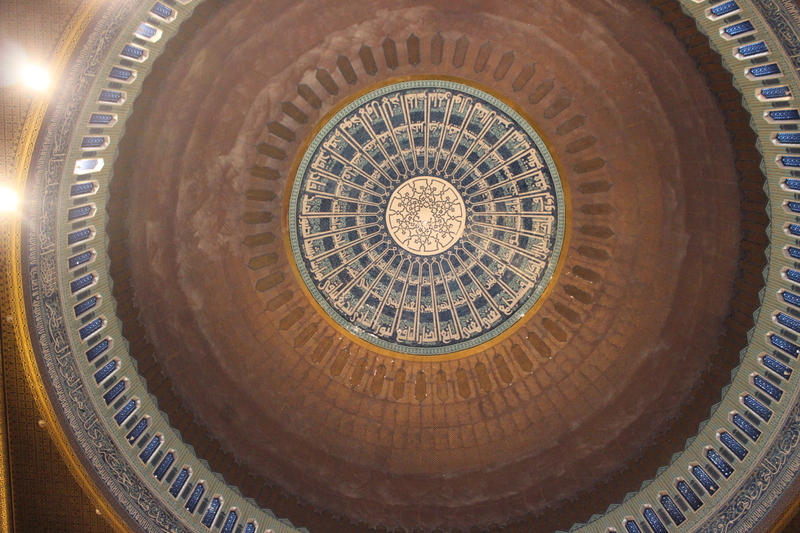 It was truly a beautiful building but in truth…I am not that interested in architecture. Something I am extremely interested in though, religion. I like to learn about different faith bases and really like to focus on the similarities that lie amongst the worlds largest religions. Our tour at the Grand Mosque in Kuwait delivered exactly what I was hoping for in a tour, a lesson on the Islamic faith. Our tour guide spoke to us for about two hours, he was equally parts informative and funny. He knew how to engage his audience all while keeping them entertained. He was a true teacher of a subject he was completely passionate about; his faith, his culture, himself. The further I step outside of my norm the more I realize I have to learn. If we were meeting for Happy Hour this week, here’s what I’d have to share . . . . . . . . . . .
MY PARENTS COME TOMORROW! Rachel and I are very excited for our first visitors to Kuwait. It’s going to take them about a day and half to travel the nearly 10,000 miles from Minnesota to the Middle East, but I think they are going to love it here. I’m excited for them to get a little sample into our lives and see for themselves how great it is AND how safe it is! We have all of next week off for Spring Break and cannot wait for our trip to Jordan. We fly out this Friday and will be there all next week. Sooooooo if there aren’t any new blog posts next week, it’s because we will be off exploring the Dead Sea, the Wadi Rum Desert, the Red Sea and of course Petra! 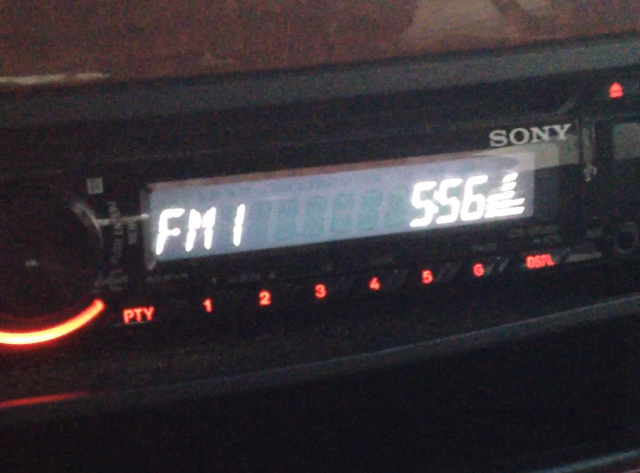 Here in Kuwait there are two radio stations that play english/american music. It’s your typical “Top 40 Hits” however there is a catch. The list is from about 10-15 years ago!!! So there is a lot of Nelly, Shaggy, R. Kelly and all of those other guys from the previous decade. It’s actually a lot of fun to listen to them because they bring back so many great memories from our college days! I was driving home the other day when I noticed a stoppage in traffic ahead. 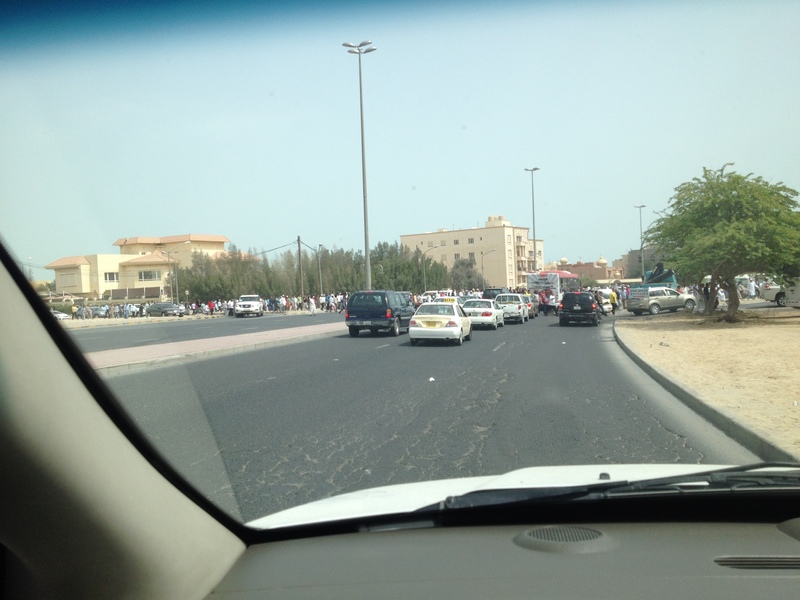 There were hundreds of people crossing the street, causing a mini traffic jam. There were so many people that it looked like a 5k race was crossing the street! I couldn’t figure out where all of these people were suddenly coming from, until and I looked around and noticed a mosque. I looked at the clock and soon realized that prayer time had just wrapped up, and everyone was leaving the mosque and walking home. Living in the Middle East and seeing how dedicated the Muslims are to their faith is such a reenergizing experience. 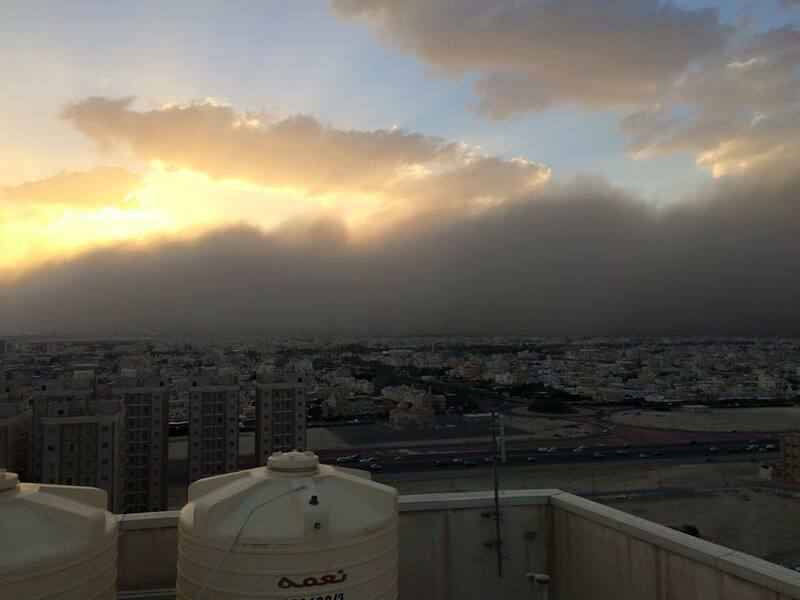 Even though it still feels like we just got to Kuwait, today we were reminded that summer is coming fast! We got an email from our employer with our return air tickets home for the summer! School is over the first week in June, but before we head home, we are going to spend a week in Portugal with some friends. Now that our airfare is all confirmed, we can start booking our accommodations and stuff for this trip! We sent our itinerary to our favorite travel app called TripIt, and were informed that we leave Kuwait in 75 days! Say what! Where the heck did the time go?! See ya for now everyone! 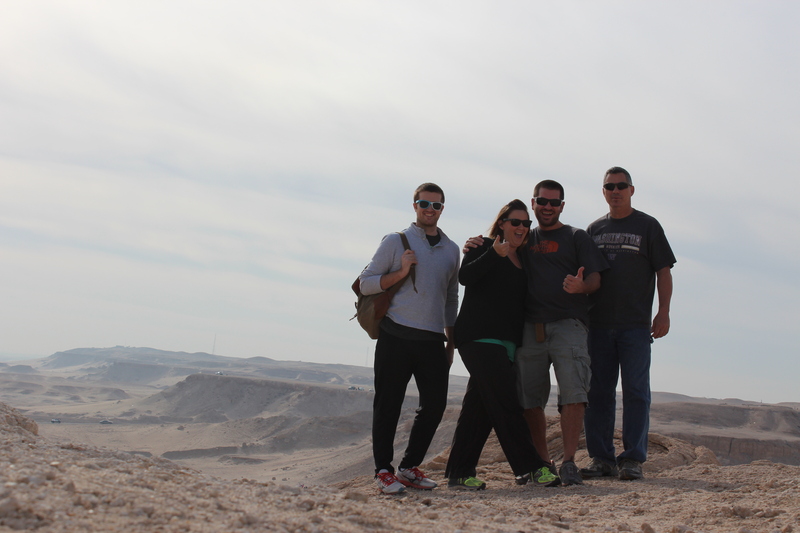 A few weeks ago, we took a little adventure to Mutlah Ridge, the highest point in Kuwait. 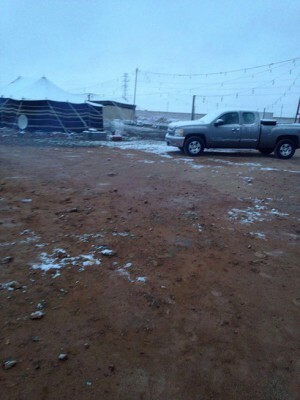 It was about an hour drive from our house, towards the Iraqi border. 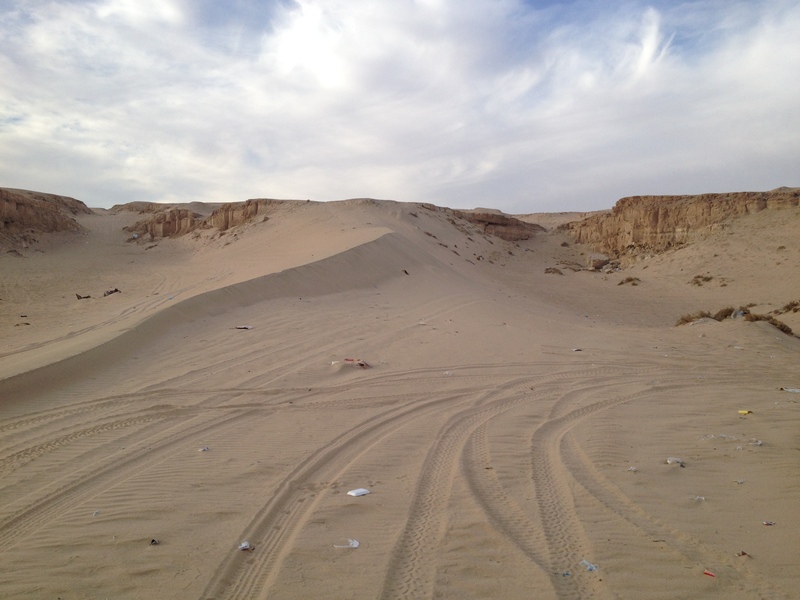 Finding the exact location was a bit tricky, because it’s basically located in the middle of the desert. Part of the adventure was the drive out there! 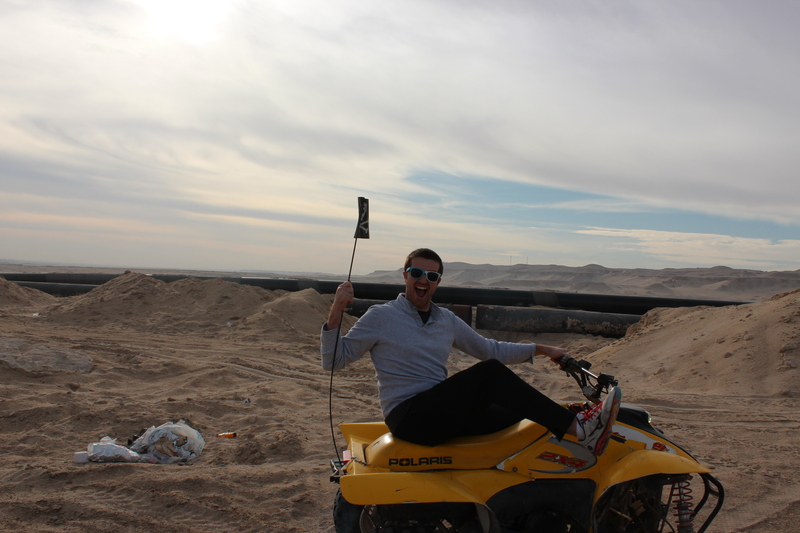 We were exploring a new part of Kuwait that we haven’t discovered yet. One of the best parts were the guys on the side of the freeway selling HUGE fireworks out of the trunk of their car! We didn’t buy any (this time) but we will be making another visit out there soon. 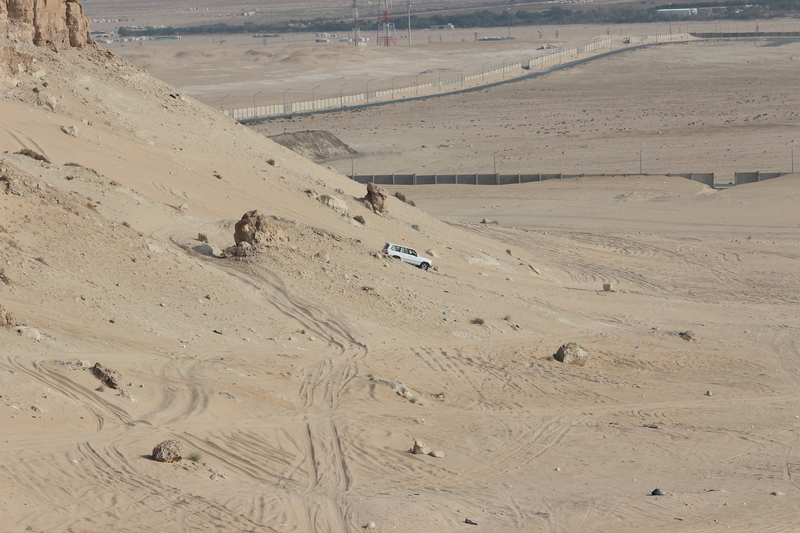 Once we got out there, we started driving through the desert, in search for a nice little view point. 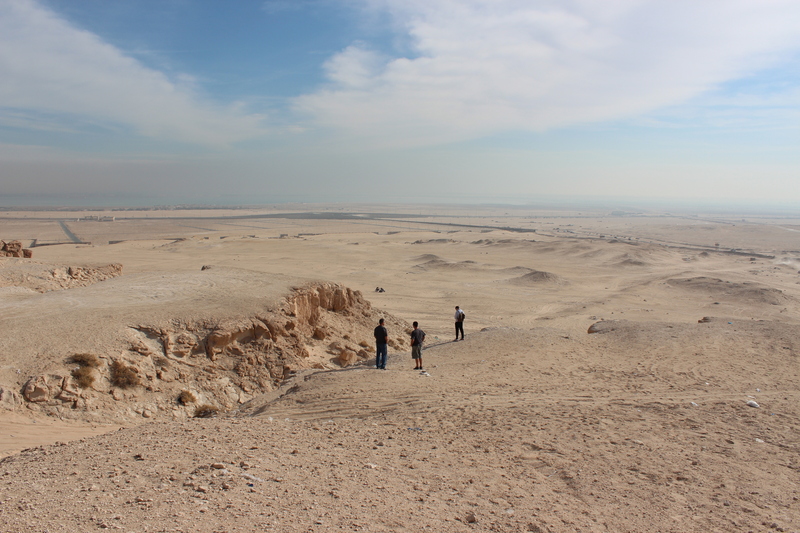 We found a ridge with an excellent view of the desert, the Persian Gulf, and Kuwait City in the background. We just kind of chilled out, took some pictures, walked around, and enjoyed our time being surrounded by nature. It was nice to get out of the city and leave behind the hustle & bustle, the honking, congestion, etc. of city life. Rachel and Ethan enjoying the view. 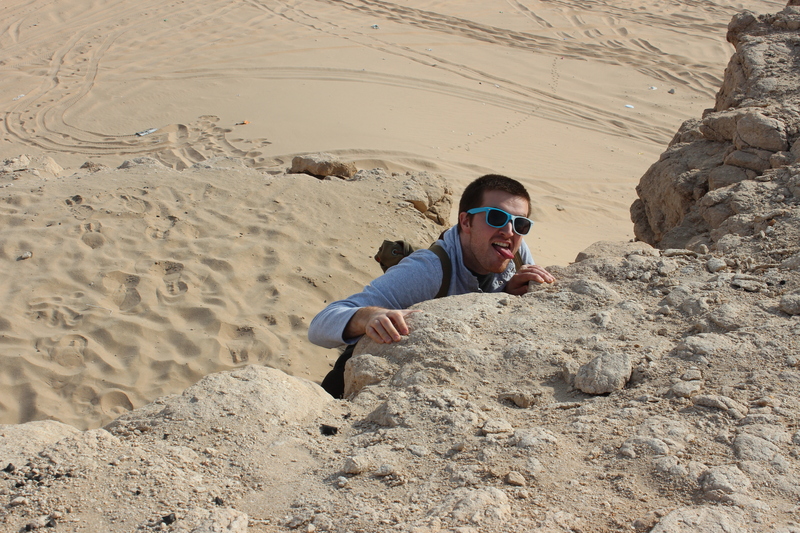 It was nothing but sand and boulders for as far as you could see. 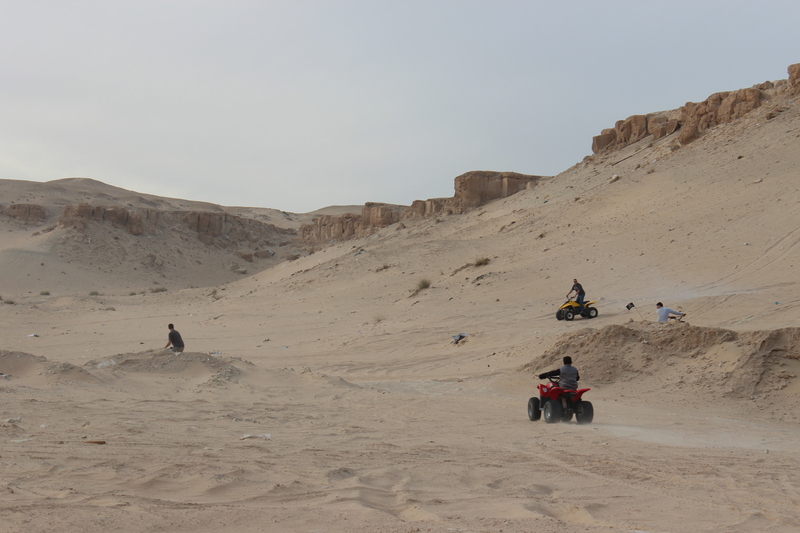 From our viewpoint, we watched a bunch of people in their 4×4’s dune bashing through the desert sand. From old 4×4 jeeps, to brand new Range Rovers, we saw a wide variety of vehicles out there. Occasionally one would get stuck, but quickly others would speed over and help pull them out. 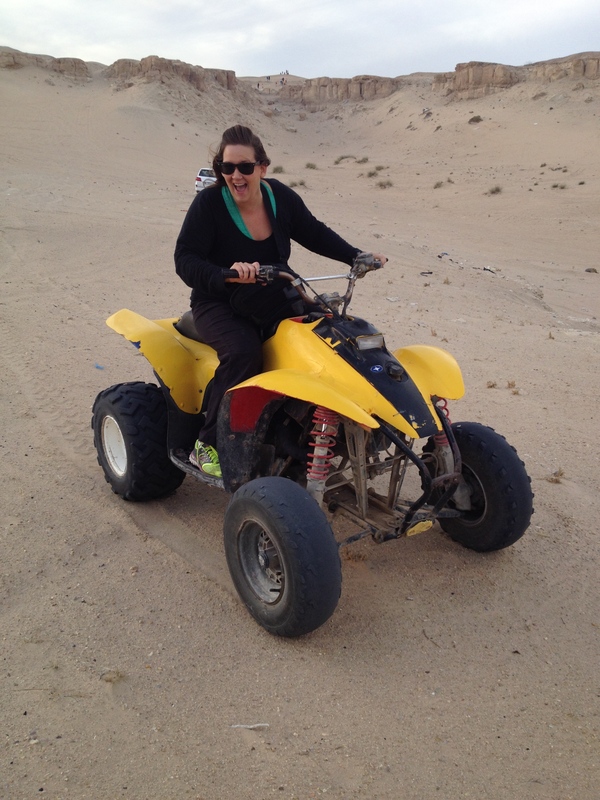 There was even people ripping around on 4-wheelers and dirt bikes! Ethan decided to do a little rock climbing out there. 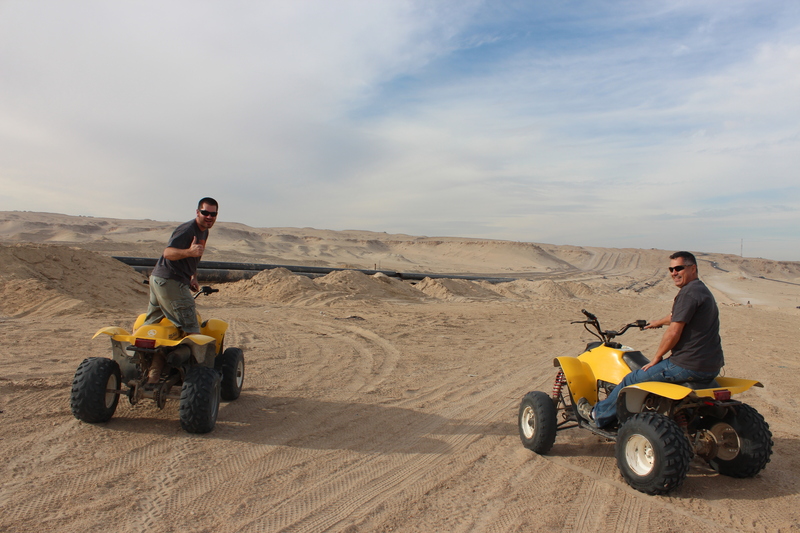 Mike and I getting ready to cruise up the sand dunes! Ethan picked the 4-wheeler with the cool “cross bones” flag on the back. Unfortunately, it was the wimpiest one! Rachel was having a blast! They guy we rented them from tried to give her a smaller “safer” model because she was a girl, but little did he know . . . . she grew up in the woods and probably had more experience than us other three guys combined! 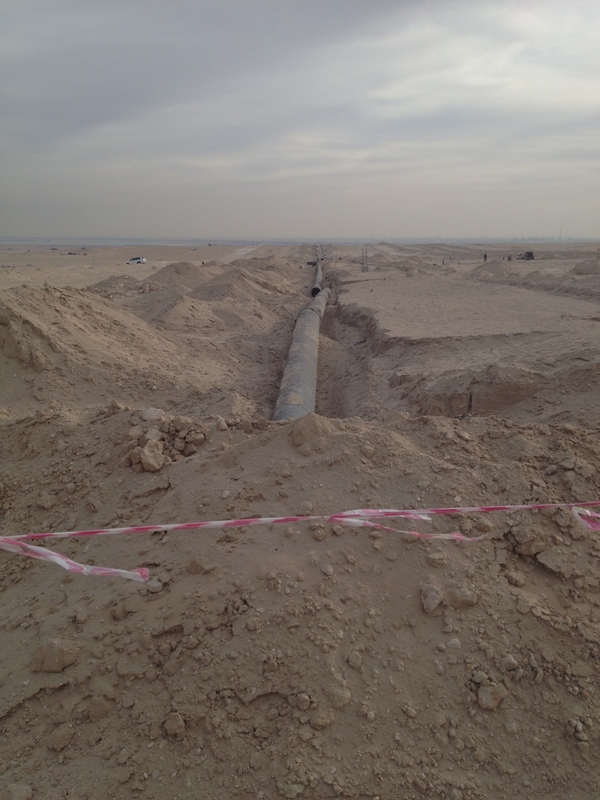 Out in the desert where we were riding, they were working on a new oil pipeline. It was pretty crazy to see how big the pipe was. The views at Mutlah Ridge can change every couple of days. Anytime there is a strong breeze, the sand moves around and creates new ridges/dunes. There was a bunch of other people out there enjoying their afternoons too. A lot of families would spend the day have a picnic, grill out, then ride their 4-wheelers and buggies around. Kids who looked as young as 4 years old were out ripping around by themselves, without even a helmet! I was able to climb up this hill with my 4-wheeler, but if you look closely in the middle of the picture, Ethan’s got stuck and couldn’t make it up! 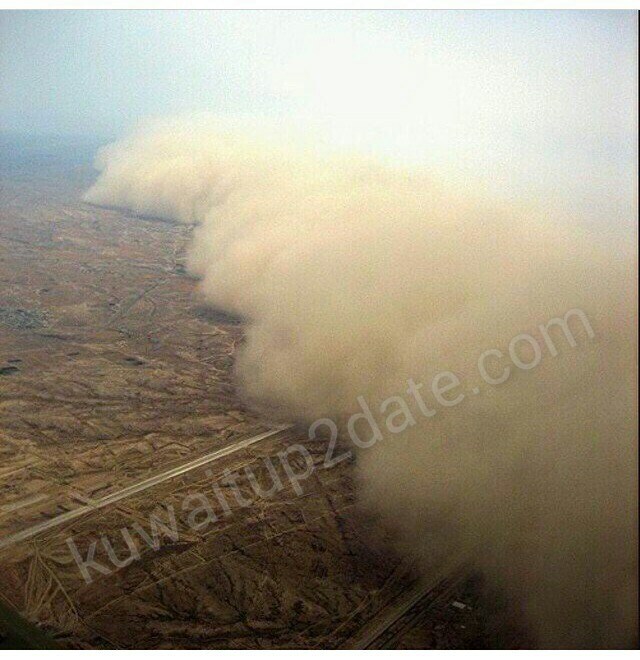 When we were done riding, we started heading back towards Kuwait City. 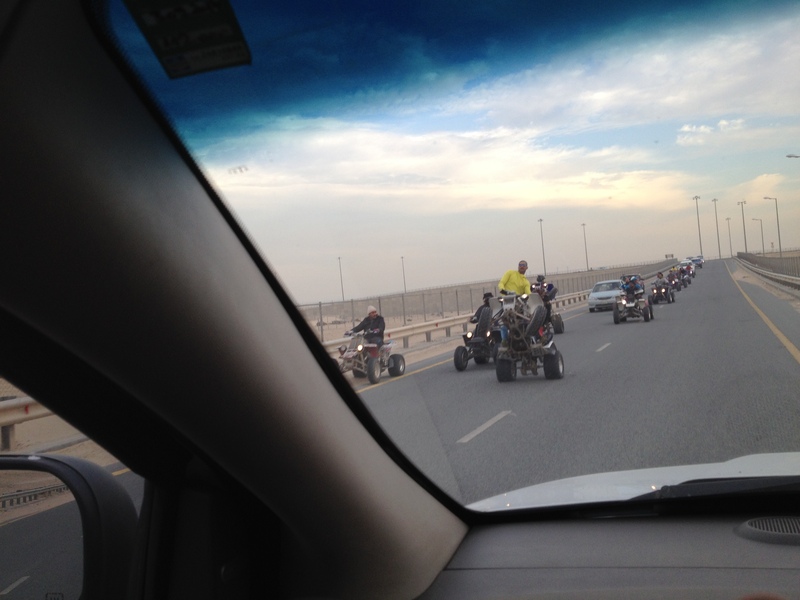 As we were heading down the highway, we ran into this mini little “4-wheeler gang” who were riding wheelies about 50 mph! 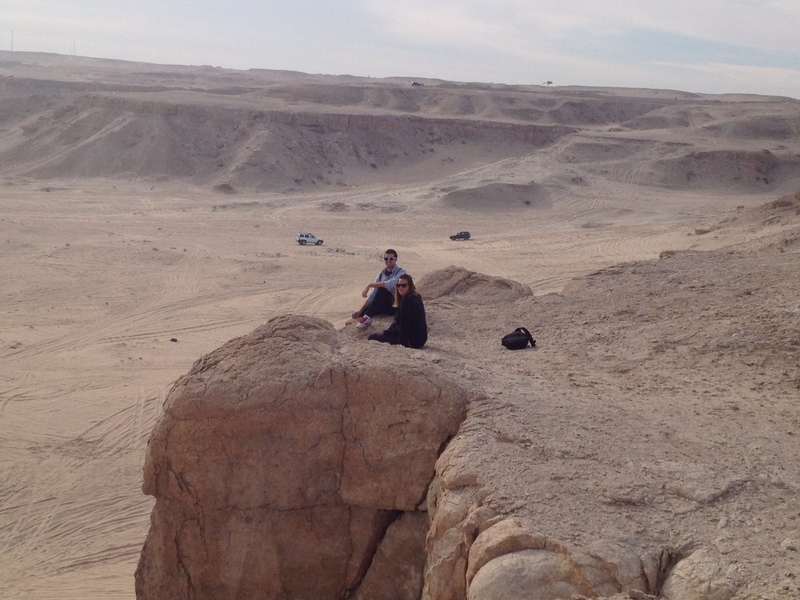 We had an awesome day out in the desert with friends! Since we have been in Kuwait, I think we have done an excellent job of constantly searching for new and exciting things to do. Our weekends are filled with adventures as we create memories with friends we’ll have forever!